Singer-songwriter Michael Ubaldini, who was introduced here back in June, recently made an early morning (6:45 a.m.!) live television appearance on KDOC-TV's "Daybreak OC"where he rocked the studio with "Jean Harlow." Kudos, Michael! Here's the video of that performance. Enjoy! 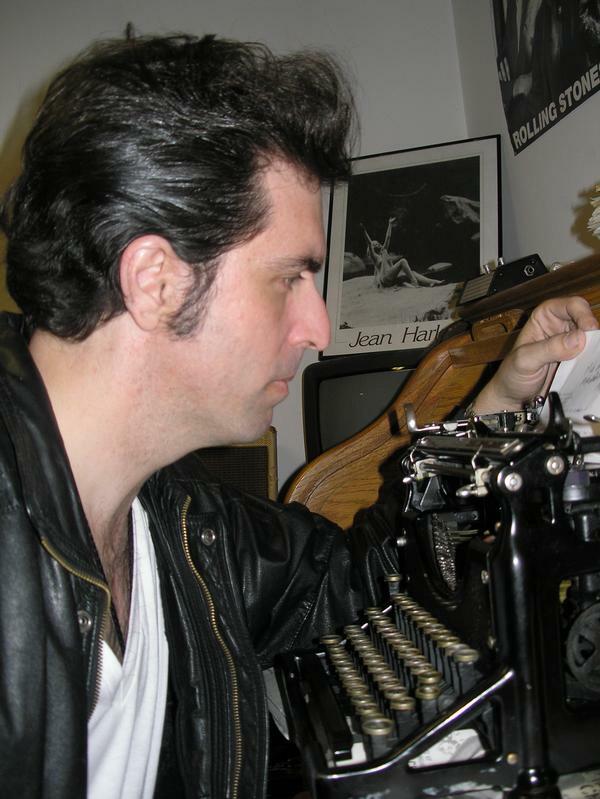 Los Angeles based singer-songwriter Michael Ubaldini contacted me via YouTube.com this weekend, with an invitation to view the video of his song "Jean Harlow," inspired by the actress who he considers "the best." Not only did I completely enjoy this original rockin' bluesy song, I was very curious to know how a singer described by critics as a "rebel, poet, philosopher, hopeless romantic, storyteller, guitar slingin' outlaw in black" became inspired to write as song about a girl like Jean. According to Michael, one day he was out and about and a thought occurred to him, that there were no classy "movie stars" anymore, like Jean Harlow, James Cagney, Clark Gable, and Carole Lombard. "It was odd because amongst the crowd in a crowded place, I saw a girl that looked out of place, but stood out," Michael recently explained to The Platinum Page. "Just like the song says, she looked like Jean Harlow. It was almost like I was seeing things, but then I turned to look again and she was gone. It's true," he added. "I couldn't get that picture out of my mind, so I went home and wrote it in ten minutes, the words just came," said Michael. Being a fan of old movies, such as "Public Enemy," "Red-Headed Woman" and "Hell's Angels" helped. "I always felt that Jean was the first cool 'Blond Bombshell' and that she deserved a cool song," he emphasized. 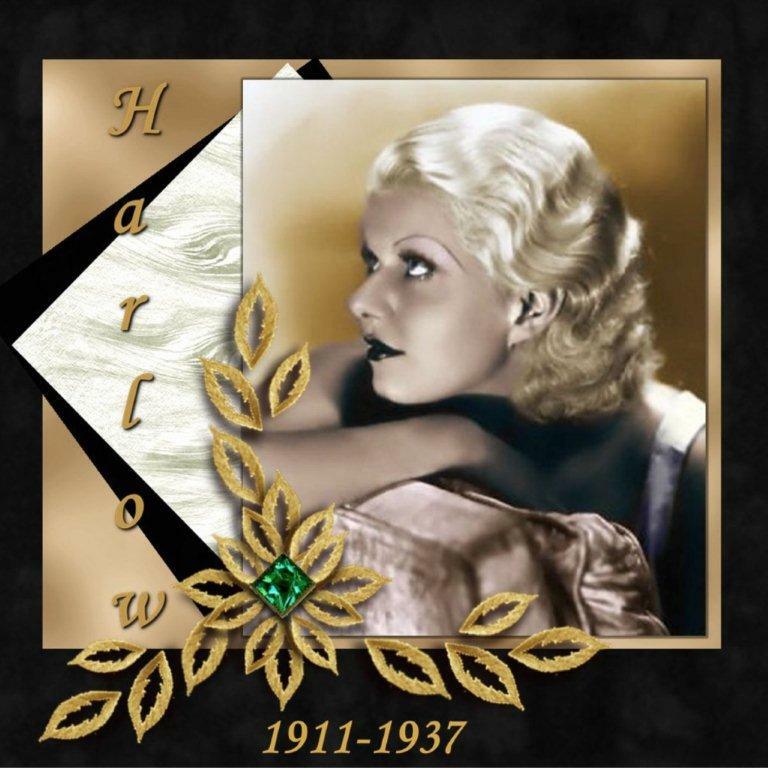 This new video comes with very special thanks to Jean Harlow fan, Michel Portelance, who sent me the digital images of Harlean that made this video interpretation possible. The glorious colorization was created by talented, longtime Platinum Page contributor, Victor Mascaro. The spirit of the song, "Dream in Color," performed by the remarkable Regina Belle, is as close to my heart as Harlean is. Where did our Baby go? It's coming up on June 7th again, Jean's Angel Day. 71 years now since she left this world. I'm absolutely blown away by the quantity and quality of all the Harlow film clips and video tributes that have cropped up on You Tube in the past year. Not to mention the love that goes into everyone's work. Bravo! What a wonderful resource for fans to continue to keep her memory alive. Having recently begun learning how to use Microsoft Movie Maker and Photo Story tools myself, I can't resist jumping on the bandwagon. What better time to premiere my Jean tribute than Memorial Day weekend? This lovely tribute to Jean comes to us courtesy of Michel Portelance, Jean's #1 Fan from Canada! Thank you, Michel! No doubt, we love Jean! Jennifer1003 has done it again with this fabulously fun video tribute to Jean, featuring the vocal stylings of No Doubt's Gwen Stefani, who portrayed Jean in The Aviator. Enjoy! 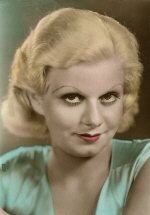 To see more Jean Harlow-related videos on YouTube.com, click here.